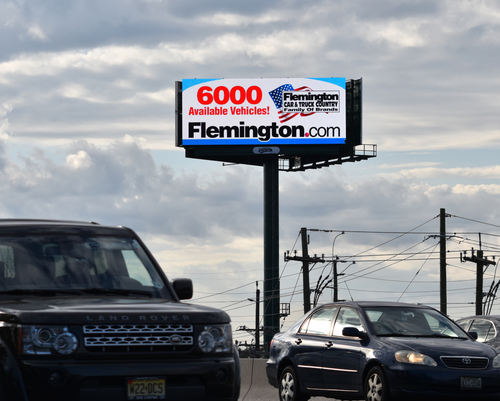 This premier Digital Display is the largest in New Jersey at 20’ x 50’! 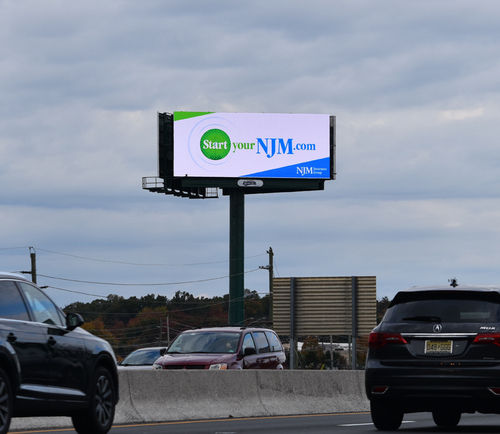 Located on I-287 just south of Exit 13. A major thoroughfare from traffic going to and from major New Jersey connections: Route 22, I-78, the New Jersey Turnpike, and the Garden State Parkway. This display serves as the gateway of Somerset County reaching motorists visiting shopping, entertainment, schools, and lodging. Shopping: Bridgewater Commons Mall, Costco, Whole Foods, Target, Home Depot, & More! Dining at Applebees, Chuck E Cheese, McDonald’s and More! To Set Up Your Digital Marketing Campaign, Call (908) 252-0700 or CLICK HERE!